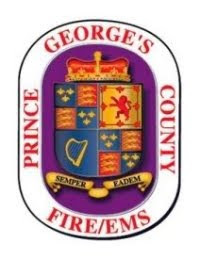 Prince George’s County homes constructed since the early 1990’s have a residential sprinkler system installed to save lives and protect property. Therefore there are a large number of single family homes, in addition to commercial buildings and multi-family dwellings, that are equipped with these life-saving systems. The Fire/EMS Department has documented hundreds of incidents since the law changed requiring residential sprinklers that demonstrate that lives have been saved and damage to property limited when fires have occurred. Prince George’s County now has a very high percentage of structures protected by sprinkler systems. Home, apartment, condos and commercial building owners and management companies should take the time now to ensure that sprinkler and plumbing systems are adequately protected against pipes freezing. During long periods of below freezing temperatures exposed water-filled sprinkler pipes can freeze expanding the pipe to the point when it will break. Sprinkler pipes tend to freeze before other water pipes because the water is not moving. Most sprinkler systems are wet systems that contain water all the time. When water freezes inside a sprinkler pipe or any exposed water pipe such as a hose bib or under cabinet plumbing, it creates an obstruction that can damage and break the plumbing pipes. This freezing will also render sprinkler system useless in the event of a fire. As the ice expands, it increases the internal water pressure in the pipe and causes the pipe to burst. The best way to protect a residential fire sprinkler system and plumbing pipes from freezing is to provide sufficient insulation and maintain adequate heat during the winter months. Insulation helps block the flow of heat or cold from one space to the next. Most plumbing pipes are within the walls or ceilings of a home. Cold air can enter these concealed spaces through small gaps in the exterior sheathing and insulation and find its way into pipe chases and soffits that focus the air directly onto the piping and accelerate freezing. Under cabinet plumbing in your bathrooms and kitchen, especially if they are located up against an exterior wall, can freeze. Keep the cabinet doors open so heat from your house will circulate through the cabinets. Leaving the faucet open just a trickle will also help to prevent freezing plumbing pipes. Hose faucets on a homes exterior can be turned off. There should be a valve on the inside of the home near the location of your exterior faucet that can be easily tuned off. In attics, piping should be as close to the ceiling as possible with insulation placed over the pipe. If you inspect your plumbing pipes that are in the attic and you can see exposed pipes; they need to be insulated immediately to prevent freezing. When sprinklers are required in unheated spaces such as attics or crawl spaces, the use of a dry system, or special dry sprinkler heads are required. If a sprinkler pipe or plumbing pipe bursts ensure that the location of the water shut-off valve is known and the proper method to turn it off. Contact a residential sprinkler professional or plumber immediately to initiate repairs. It is recommended that a sprinkler system is tested and inspected on a periodic basis to ensure it is in proper working order to prevent against rupture and flooding.